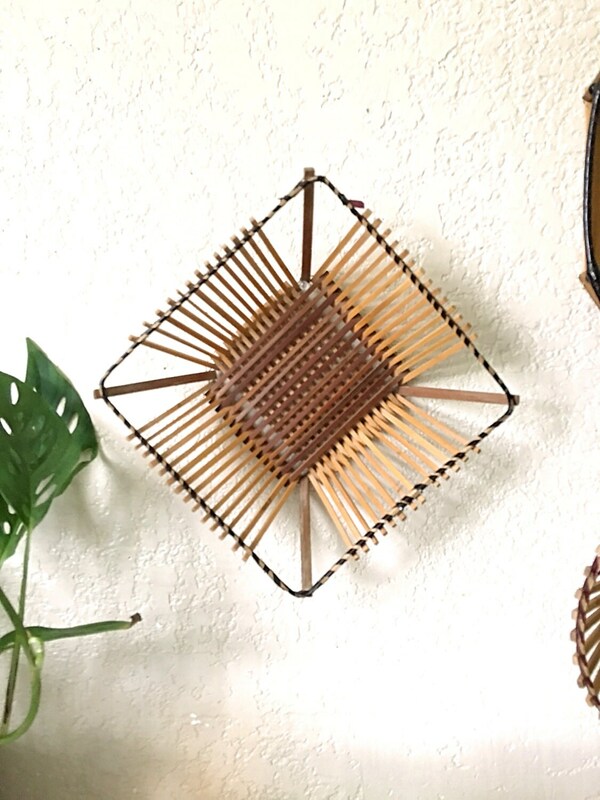 Set of three (3) baskets, made of wooden sticks with a metal frame. 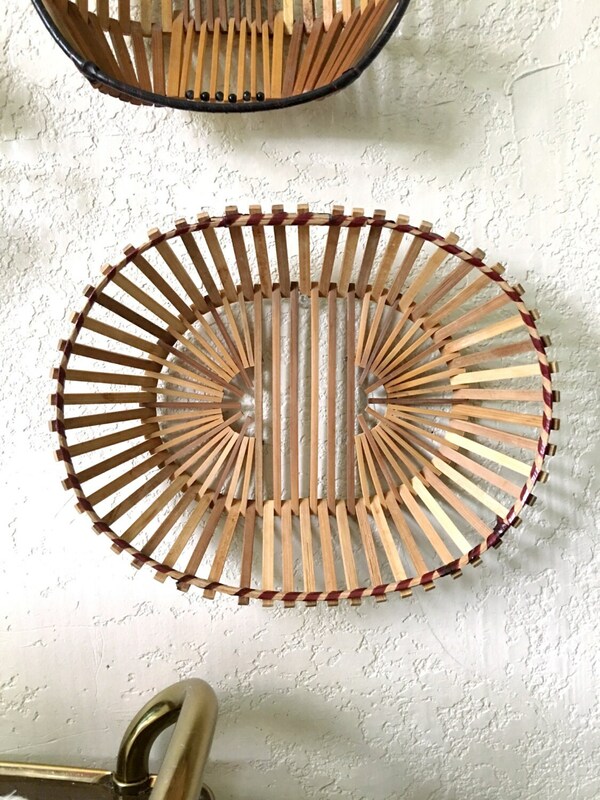 Two oval shaped and one square shaped basket. 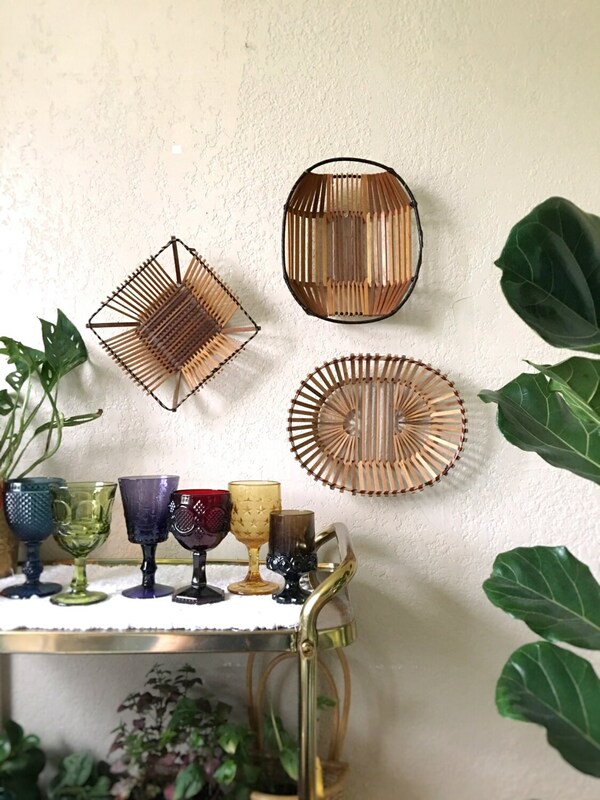 A gorgeous minimalistic and modern basket wall set. 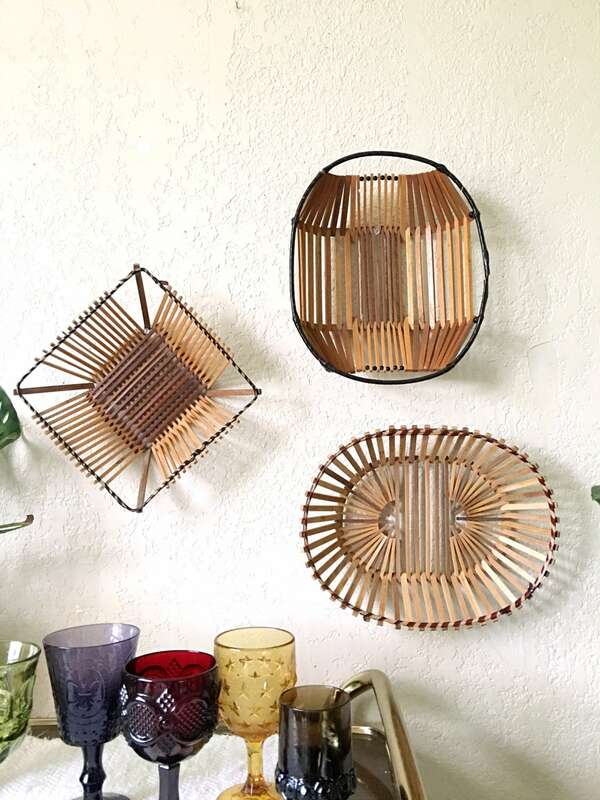 Can be used on the wall, as fruit baskets, catch-alls, etc. Good lightly used condition with no major wear and tear. Minor scuffs on some wood pieces. 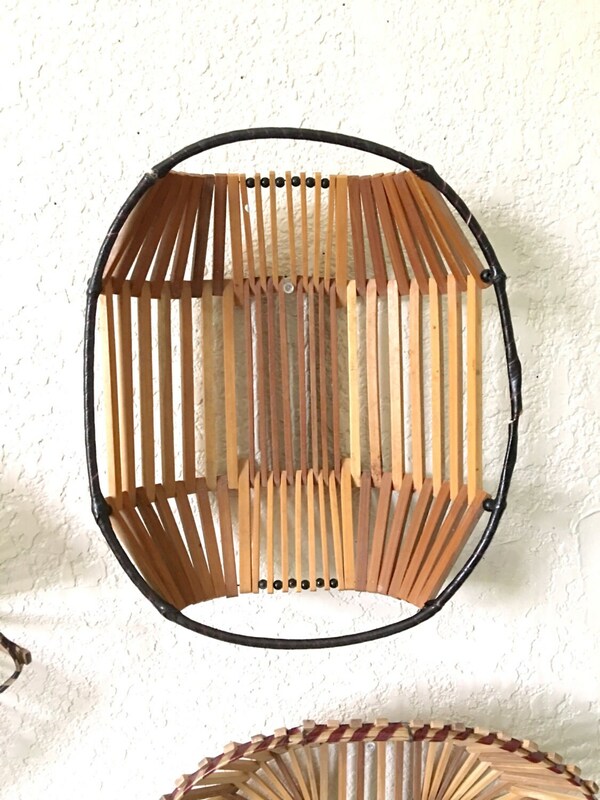 The rims of the baskets are adorned with a plastic ribbon that is wrapped through; some spots have loosening of ribbon, but does not seem to affect integrity of the baskets.